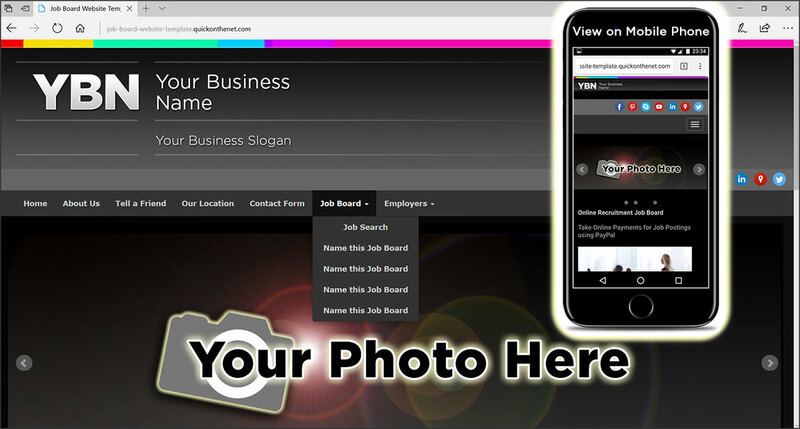 We offer a range of web template designs for recruitment, job boards, and job agency business services. RecruitHost.com from Quick on the Net Limited is your complete guide to designing and building a job posting site. 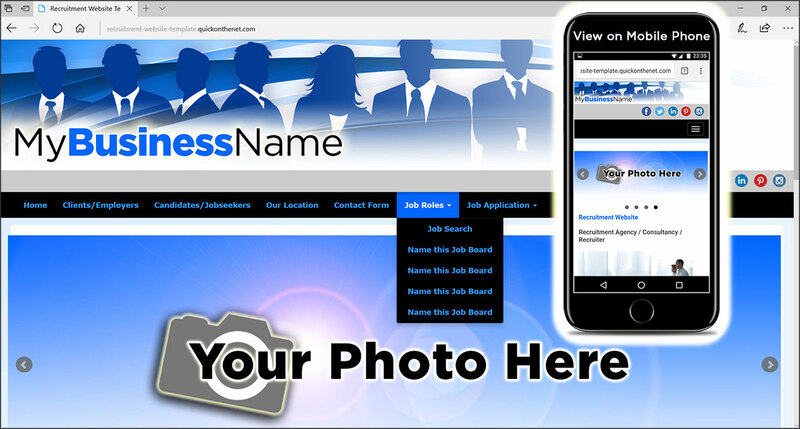 We provide details on how to build a recruitment website with job search bar and click-through job listings. The range includes design options for a recruitment agency, job board, employment consultancy, graduate career services, job agency, recruiter services, corporate employer and recruitment consultant. Building a recruitment services website can take time and effort, but you will quickly discover we have already done a lot of the hard work for you. 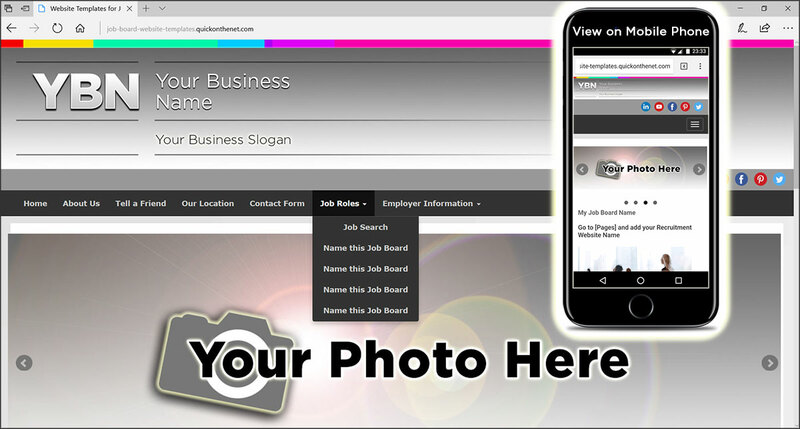 Sign-up, log in, upload your photos, post your jobs and add your information. You will be pleasantly surprised with how quickly it can all happen. You will quickly discover that this creative concept is vibrant, modern and engaging in its appearance. Notice how your website already includes a useful suite of menu buttons for a job board. Plus, you can also add, remove or rename the menu options to suit your business needs. 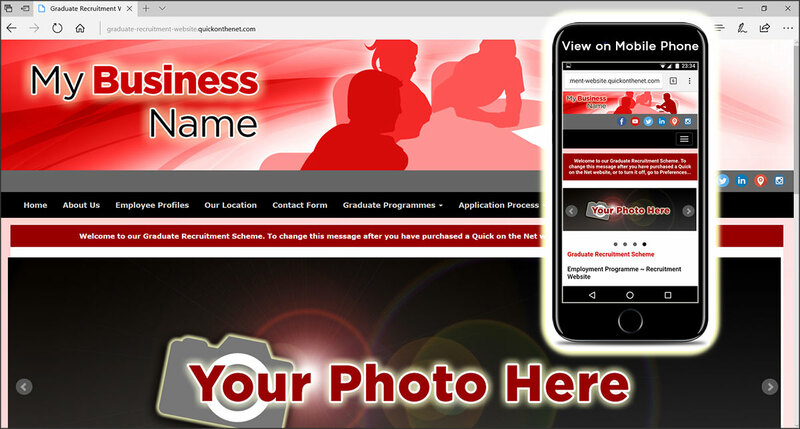 This template will allow you to quickly create your own graduate recruitment website, to run alongside your company website or your corporate job site. Ideal for a recruitment agency or a small business in careers services, this website design template contains everything you need to get your new job site up-and-running in no time at all. Using silhouettes of people, this design concept is presented using a blend of different shades of bright blue colours, with the name of your business overlaid on top of a vibrant gradient background.